Well, finally had some nymphs emerge last night. Only found a few nymphs but heard at least 10 calling today. All were Tredacassini. I brought in one nymph and let him perform his ecsdysis. He was calling already this afternoon in the house when I got home from work. Kinda strange since I thought they take a few days to start calling. I think this is just a small emergence due to the cold weather and rain last night. Hopefully the rest will emerge over the next few nights. I guess it could possible be 4 year early brood IV as well. Not sure yet but all are Tredacassini so far(or Cassini). Thanks for the update. 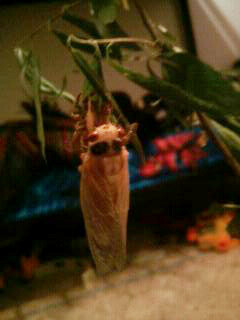 That is strange that the cicada called the very next day. 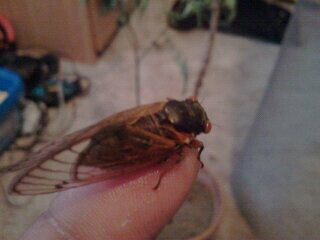 I do know that cicadas will try to call soon after they sclerotize but the calls are weak and broken-up at best. 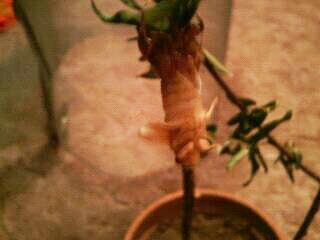 It still sounds like you are not yet at peak in the emergence so keep us posted.